Thomi, the Frenchman, has been hired by his girlfriend Elisa, the American. His task is to map her mother’s immigration from Itality to the US. Thomi knows very little himself but makes most of it up, getting inspiration from pieces of literature related to migration. close to elsewhere is a deconstructed family saga over three generations and two continents, where reality is mixed with the wish for such. The everyday life that constitutes the urgency of now is intersected with journeys in time and space to re-awaken flavours, smells and sensory impressions from elsewhere. Thomi was living between geographies again. His mind wandered from the image of the city centre, following the pale brown buildings into a famous bookstore. It was painted a solid wood blue. Every year he goes through this sequence to remind himself how he used to organize himself. InClose to Elsewhere, Bookman borrows characters, narratives and feelings from existing pieces of literary fiction on migration and travelling. He is looking for the personal perspective and focuses on the human interaction with its immediate and distant environments. These fragments are syncreticised into contemporary life, where they instigate new meaning. The reader is reminded that migration is not a new phenomenon and that it affects also those that are comfortably travelling into the digital world. 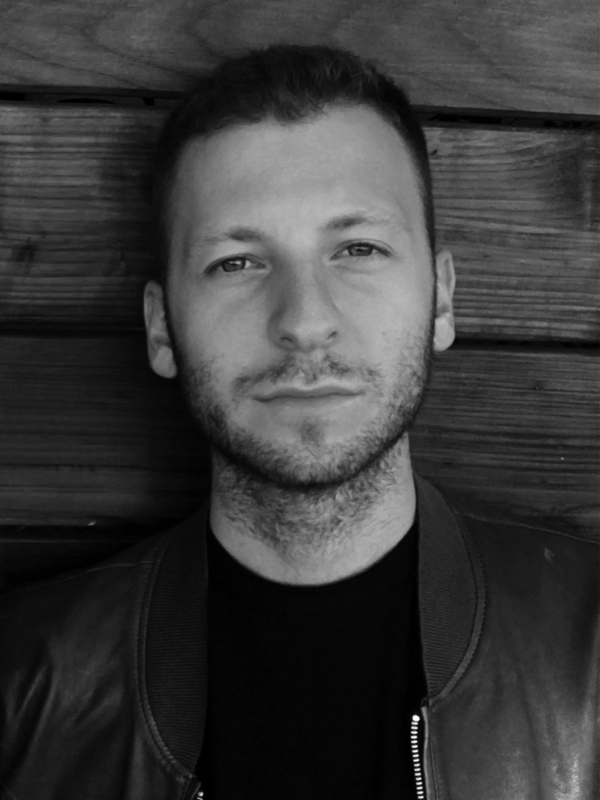 Joshua Kent Bookman (1990) is an American performer and writer, born and based in Boston, USA. His interest for Sweden stems from an unsuccessful attempt in moving here in 2018 and a personal project where he took on learning 20 different languages, including Swedish. Bookman explores culture and place through sensory impressions: taste, smell and touch play a central role in his writings and environments. He is also inspired by hos own experiences of living and work in Italy and France, his travels in Europe and the different vocations he has tried. 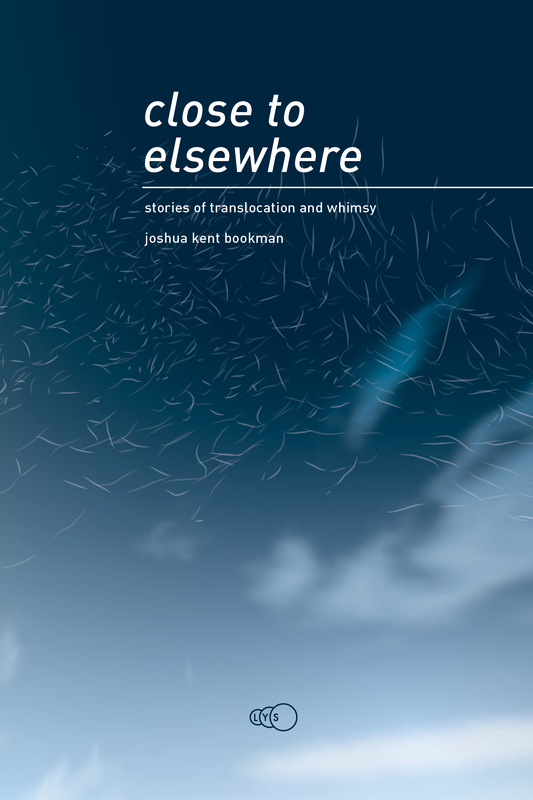 close to elsewhere is Bookman’s first novel. 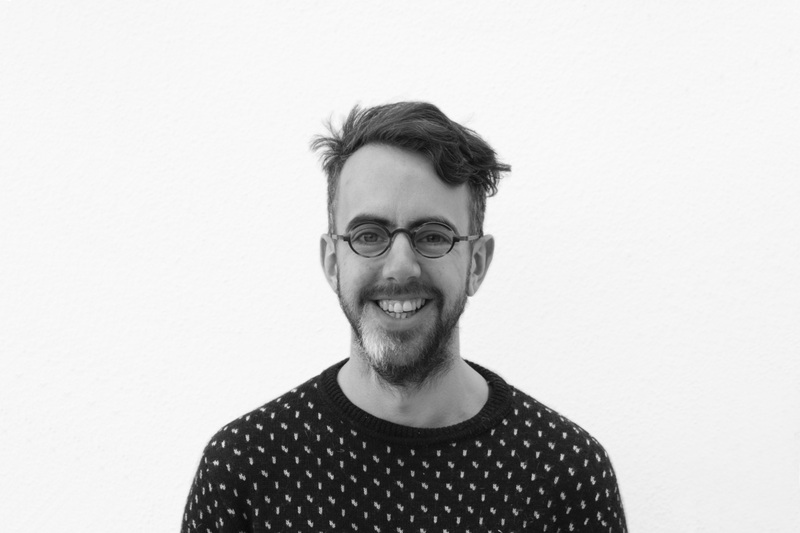 Andy Bolton is a designer. This is his first published book design. Struggling to find a method to reflect the book in it’s design, a reading of an early draft of close to elsewhere hinted at images, colours, themes and words that could define a graphic direction. The book’s themes of natural, chaotic, interwoven, overlapping and repeating patterns was found in the images and movements of birds, in particular the mass migration or murmurations of starlings. The cover illustration is derived through a process of collapsing and tracing footage of these aerial performances. Collaborating across three time-zones with Sofi, the editor, and Joshua, the author, pushed the cover design through its nascent/awkward stages of “like a corporate manual” and then to “post apocalyptic” to an image that is reflective of the experience contained within the novel. For the content of the book an internal logic, structure and style is used to help orientate the reader. With other book typologies such as dictionaries and thesauri used to inform the design of unique sections such as the glossary and legend. 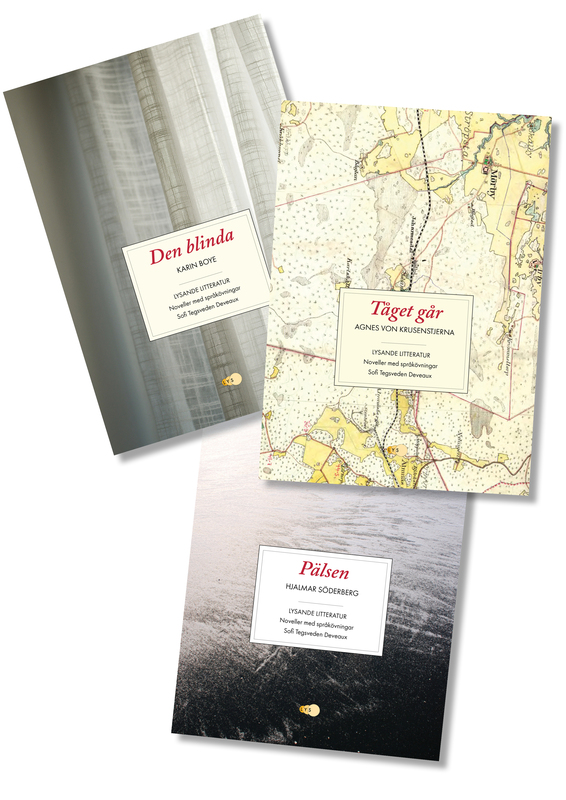 Interested in reading Swedish classics? Lysande litteratur is a collection of short stories in Swedish, complemented with audio files and language exercises designed for the advanced learner (level B2-C1 CEFR). This is your chance to familiarise yourself with Swedish literature and history with the support of word lists, explanations of archaic terms and exercises. Listen to the audio file and test your listening comprehension. Read the original text and learn new vocabulary. Test your reading comprehension and discuss the content and its meaning. Work actively to use new vocabulary with exercises and flash cards. Learn more about Swedish literature, society, culture and history.